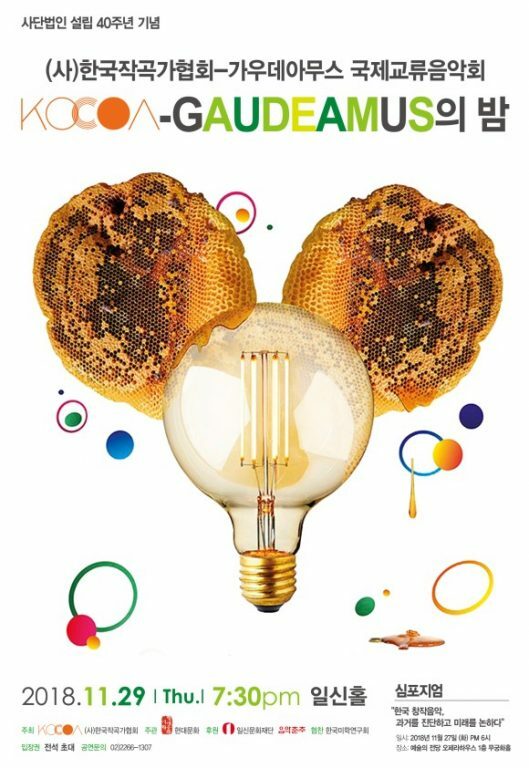 The Korean Composers Association (KOCOA) is celebrating its 40th anniversary this week. With a programme including a symposium tomorrow, Tuesday 27 November, including a talk by Gaudeamus’ PR employer Marisa Tempel about the history of Gaudeamus and its role in new music. And a co-curated concert on Thursday 29 November featuring pieces by Korean composers Moonhee Lee and Taehee Kim and Dutch composers Anthony Fiumara and Aart Strootman.